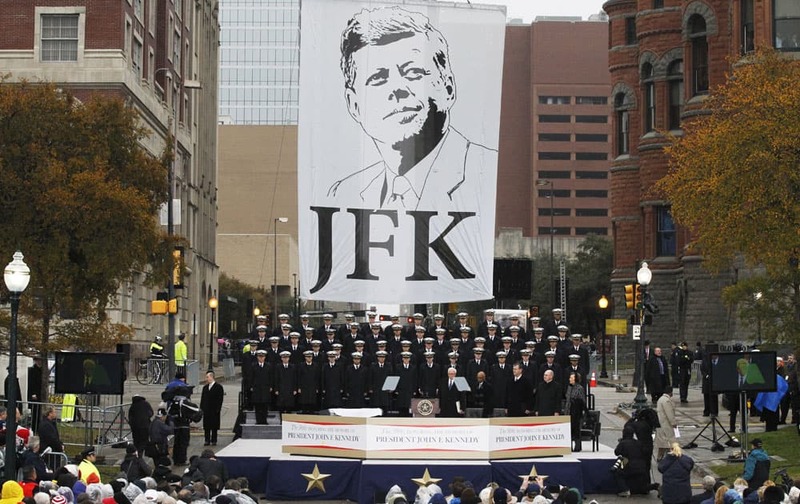 The United States Naval Academy Glee Club performs during a ceremony to mark the 50th anniversary of the assassination of John F. Kennedy. 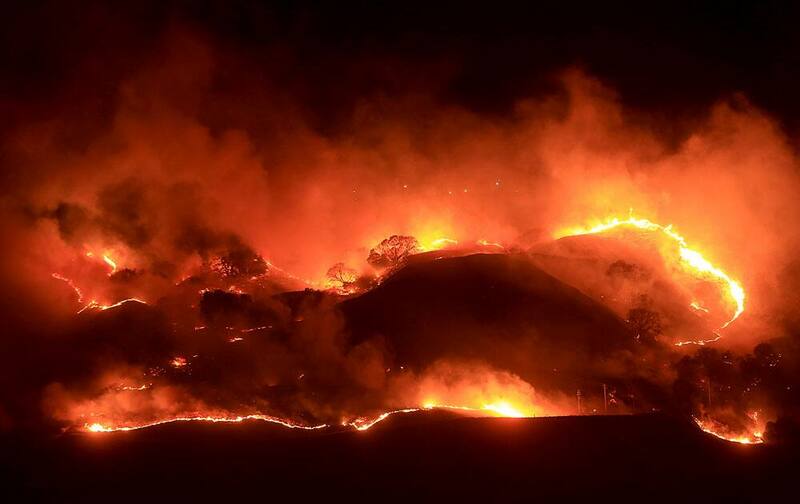 Fire rages along the steep slopes of the Geysers geothermal field, east of Geyserville, Calif.
People march to protest physical abuse of women and in support of Colombia`s peace talks currently underway in Cuba, in Bogota, Colombia. 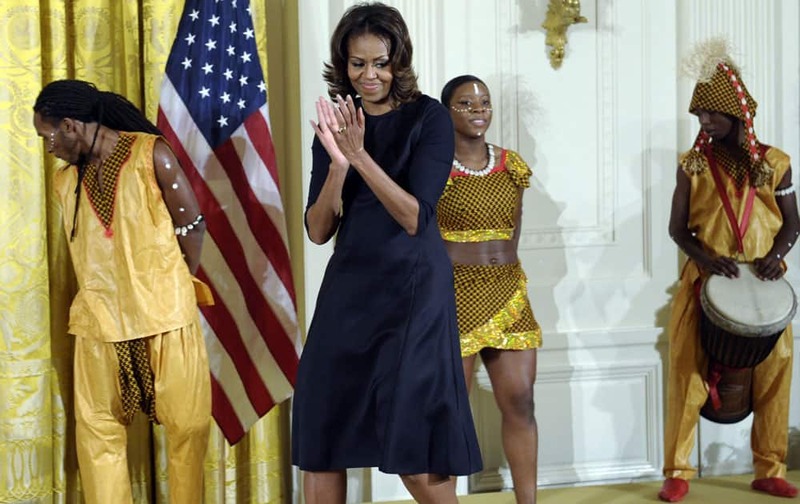 First lady Michelle Obama walks on stage after watching the children from the Kuruka Maisha Foundation, an arts school in Nairobi, Kenya, perform in the East Room of the White House in Washington. 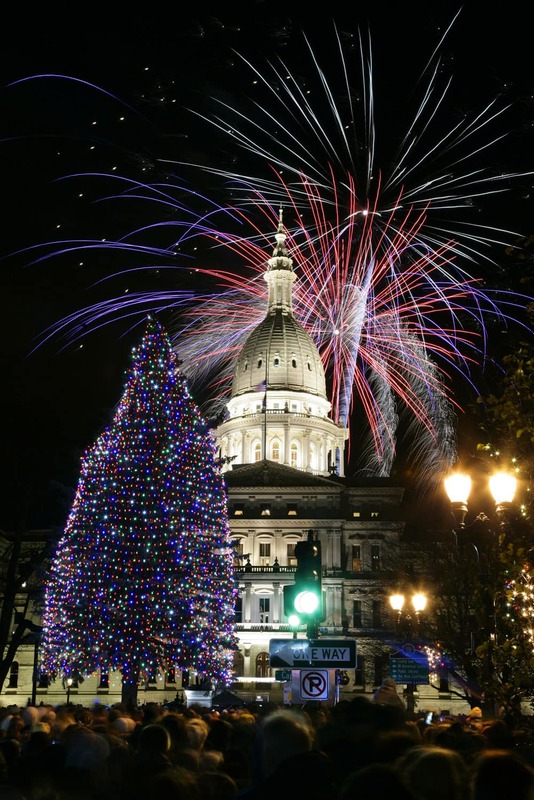 Fireworks explode over the state Capitol following a ceremony lighting the official state Christmas tree, in Lansing, Mich.
Australia`s David Warner plays a shot on the third day of the series-opening Ashes cricket test between England and Australia at the Gabba in Brisbane, Australia. 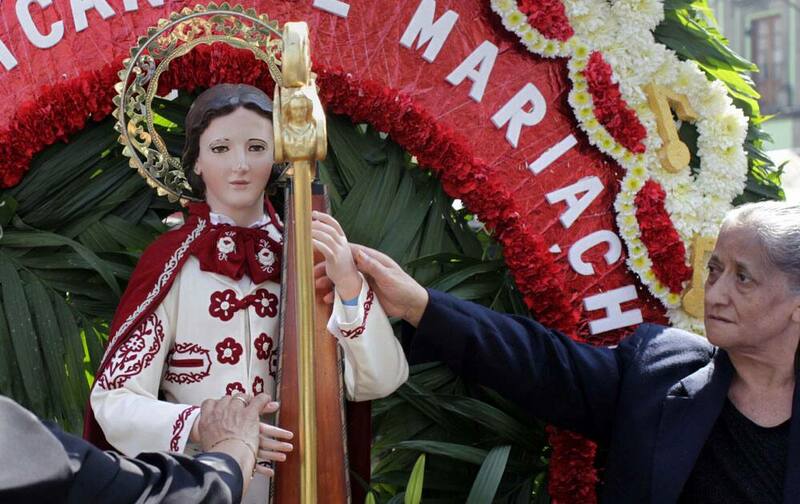 Women touch a statue of Saint Cecilia, the Patron Saint of music, in Garibaldi square in Mexico City. 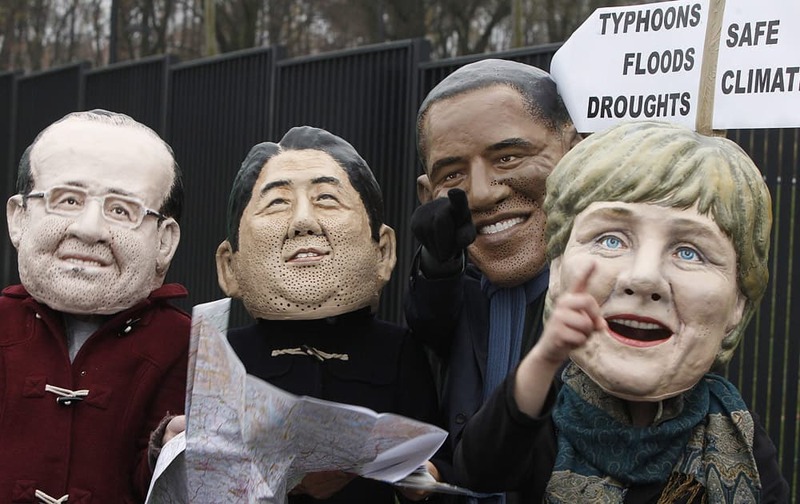 Climate activists protest acting in the role world leaders who search for a way , in front of the U.N. climate change conference at the National Stadium in Warsaw, Poland. 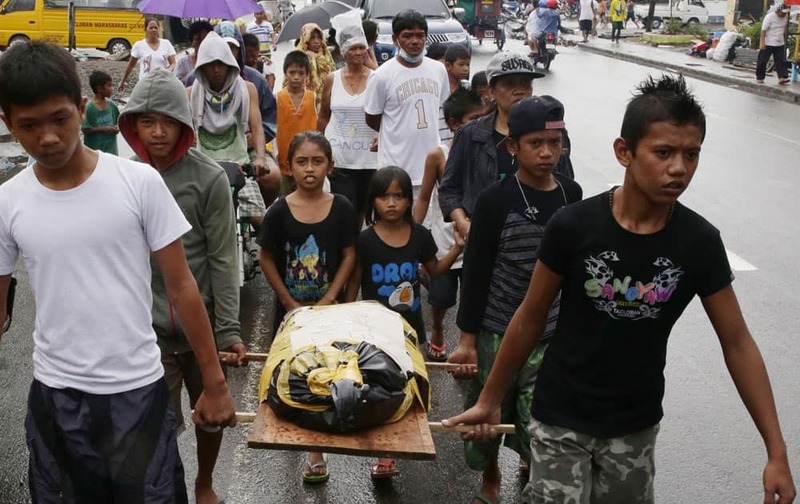 Relatives carry the body of three-year-old Athena Mae Pelingon for burial, at Tacloban city, Leyte province in central Philippines. Singer Rihanna, right, talks with talent agent Ari Emanuel, left, and his son as they watch the Los Angeles Lakers play the Golden State Warriors during the second half of an NBA basketball game. 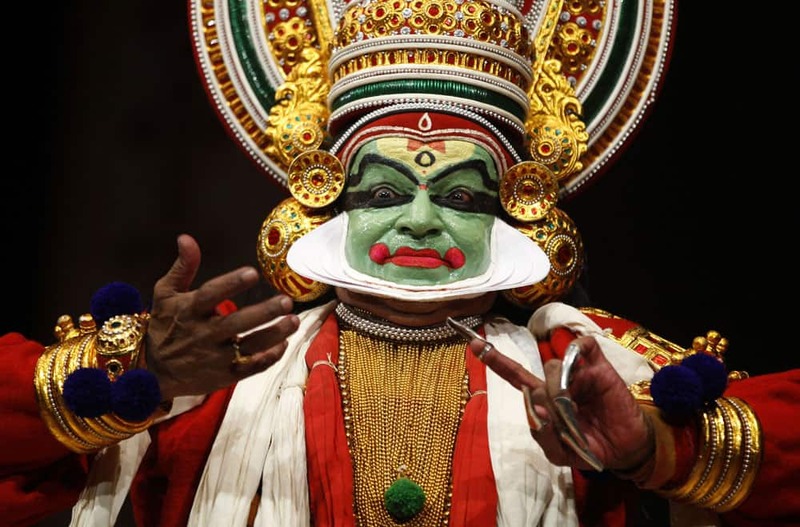 An Indian Kathakali artist performs at Kala Nadam Dance Festival in Bangalore. A man burns an effigy of North Korean leader Kim Jong Un and a North Korean flag during a rally to mark the the third anniversary of North Korea’s artillery attack on the Yeonpyeong island, in Seoul. 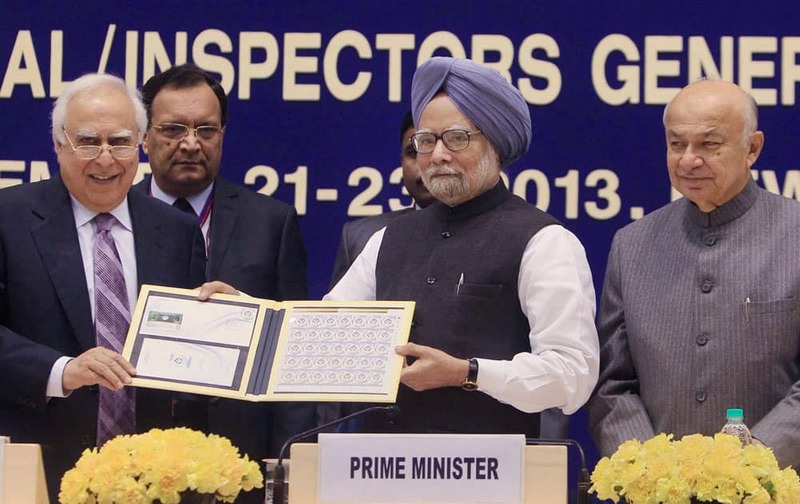 Prime Minister Manmohan Singh with Minister for Communications and IT, Kapil Sibal releases a commemorative stamp to mark the completion of 125 years of the Intelligence Bureau at the All India Conference of DGPs / IGPs at Vigyan Bhavan in New Delhi. 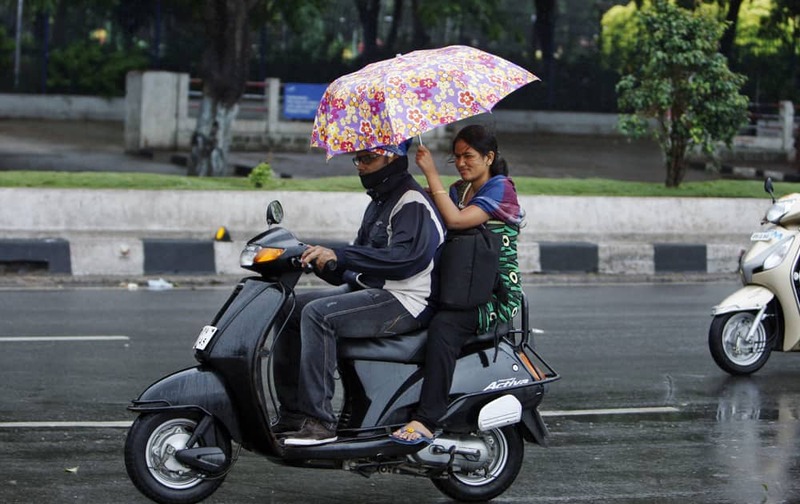 A woman shields her relative on a two-wheeler from rain in Hyderabad. 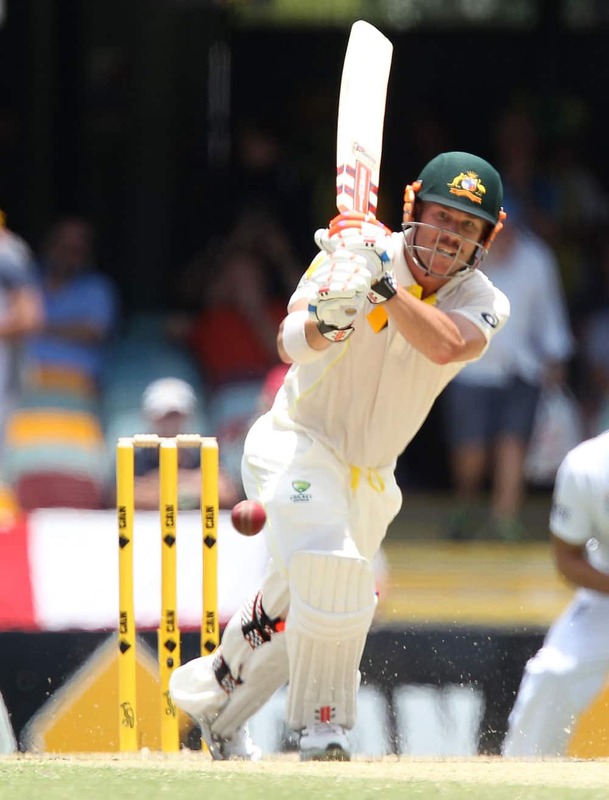 Meteorological Department said Cyclone hit Andhra Pradesh state with winds of 80 to 90 kph (50 to 55 mph) and heavy rains. 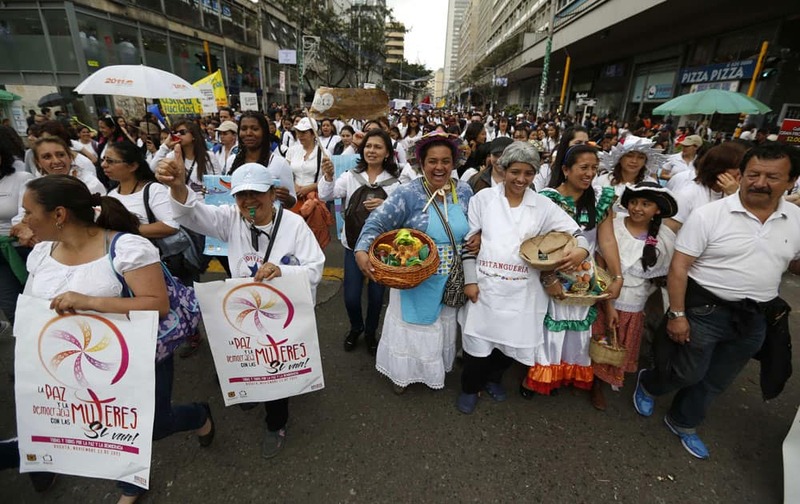 This photo provided by NASA Friday Nov. 22, 2013, shows a collage that includes about 1,600 images submitted by members of the public as part of the NASA Cassini mission`s "Wave at Saturn" campaign. 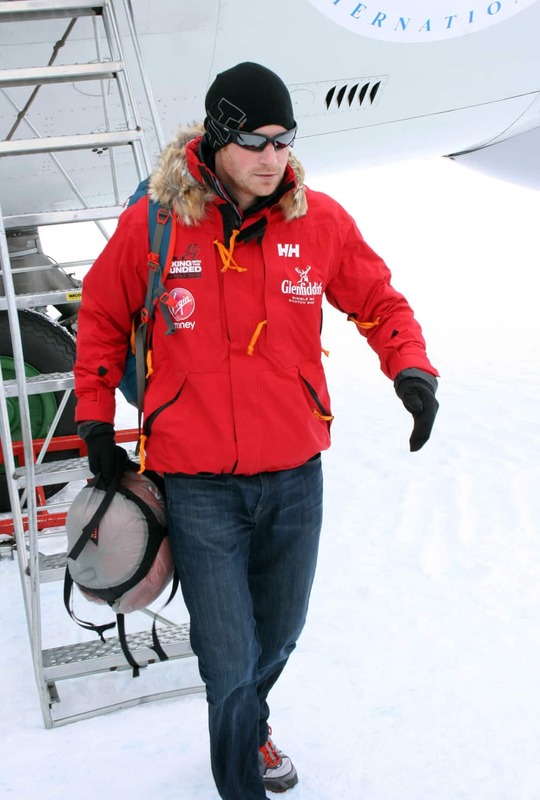 Britain`s Prince Harry, partron of the UK team, arrives in Novo, Antarctica to take part in the South Pole Allied Challenge 2013 expedition. 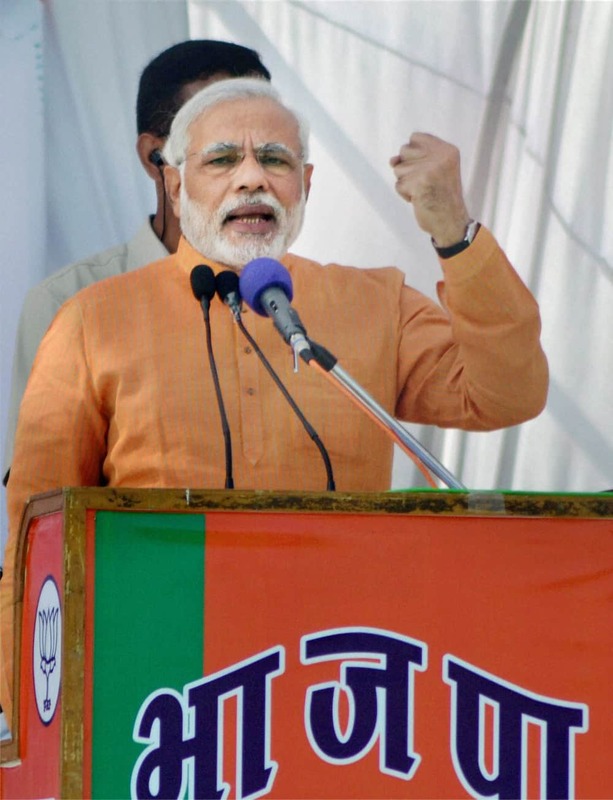 Narendra Modi addresses an election rally in Mandsaur, Madhya Pradesh. 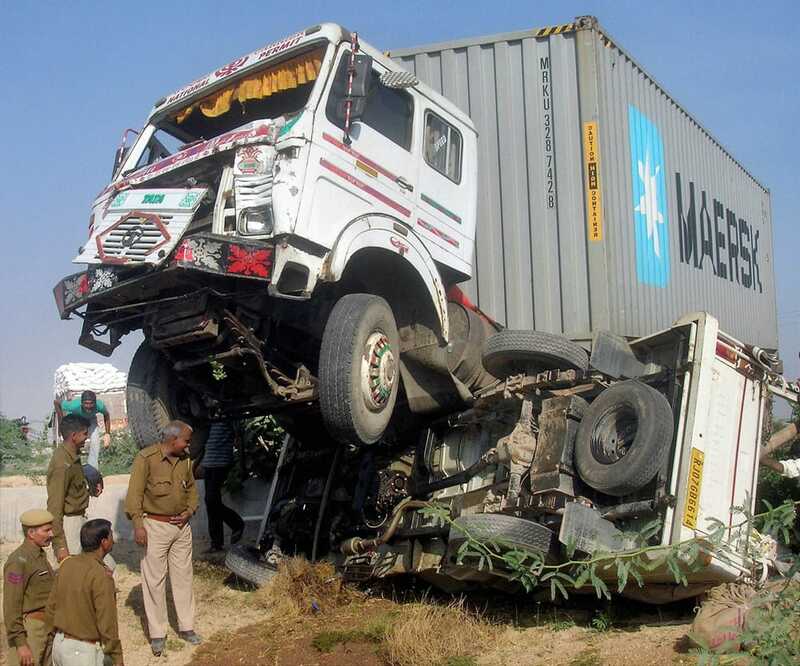 Police men at the accident site after a collision between a truck and a jeep at NH-15 in Bikaner. 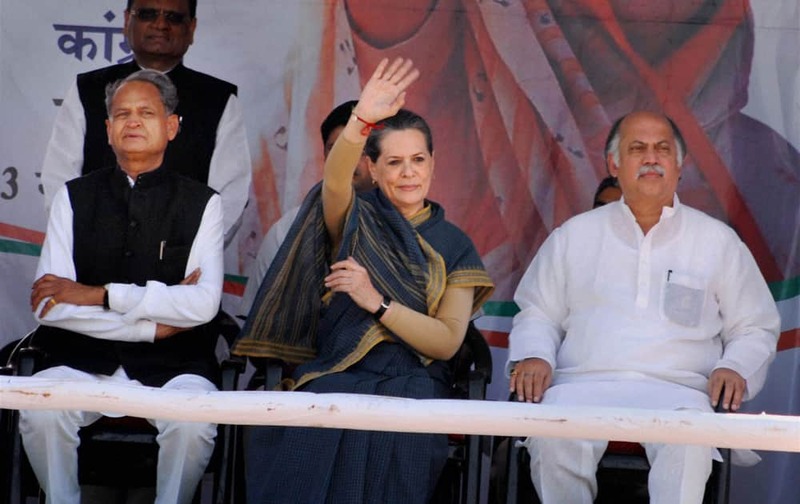 Congress Presindent Sonia Gandhi with Rajasthan Chief Minister Ashok Gehlot during an election rally in Kota. 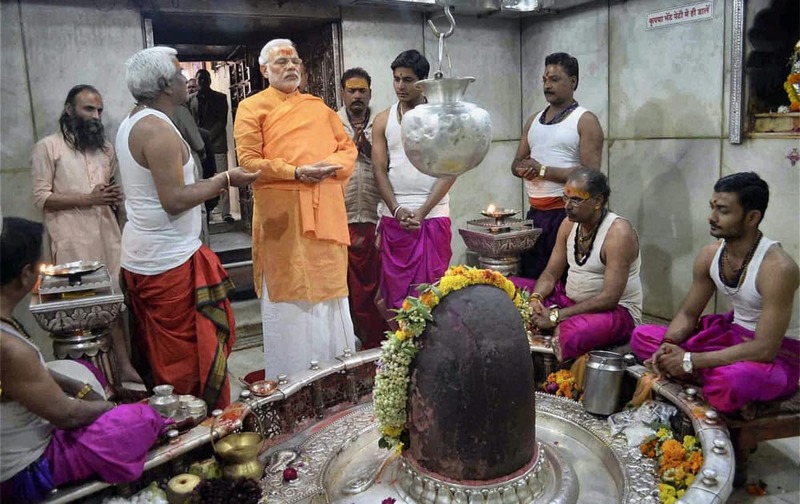 Narendra Modi offering prayers at Lord Mahakal Temple in Ujjain, Madhya Pradesh. 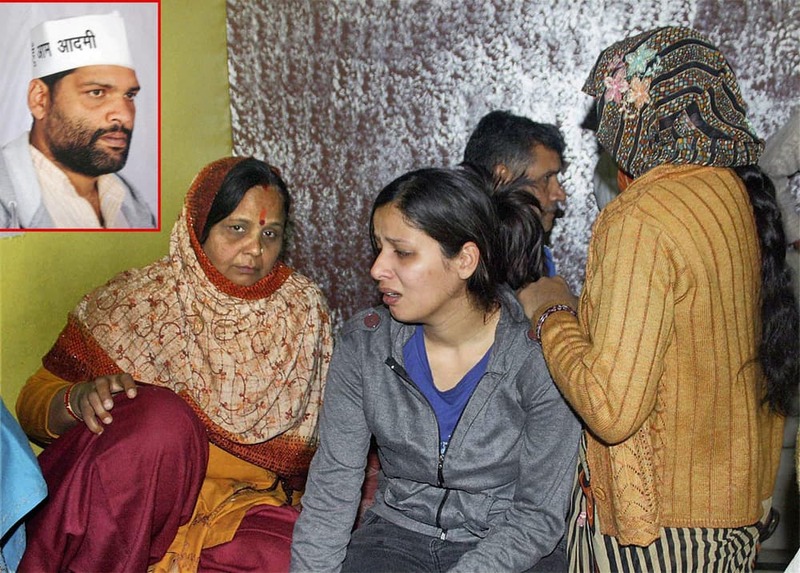 Family members of AAP worker Arvind Malik (inset) who allegedly shot himself with a pistol, mourn his death in east Delhi`s Jaffrabad area. 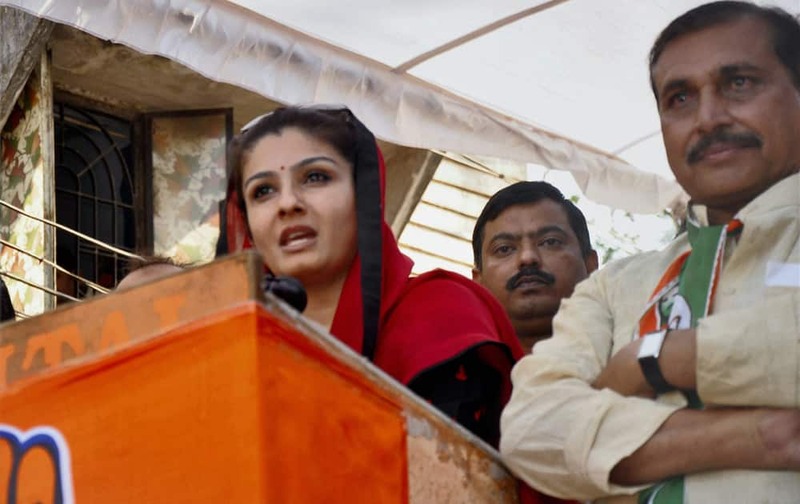 Raveena Tandon speaks at an election rally in favour of Congress party in Bhopal.